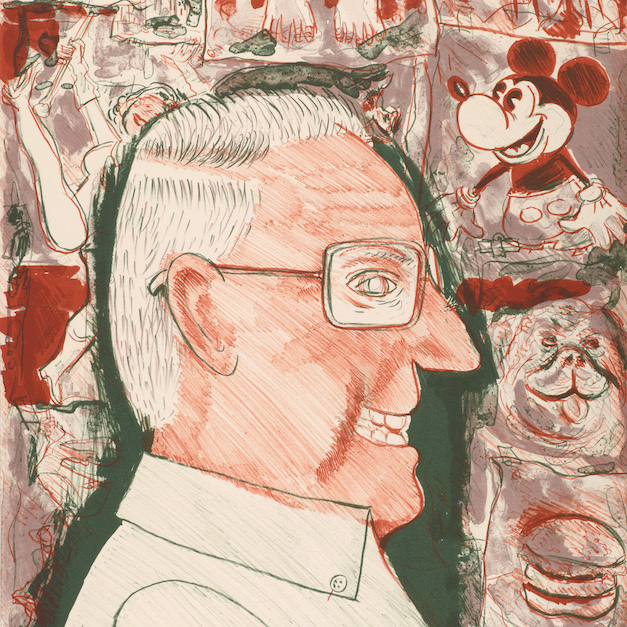 Born in this country to Jewish immigrant parents from Lithuania, Sidney Chafetz (1922-2013) is part of a tradition of first and second generation American artists who were deeply committed to themes of social justice. In 1948, he began teaching at The Ohio State University where he helped establish the printmaking program. This summer, Poets and False Prophets features a sampling of his prints spanning many decades and including thoughtful depictions of the artist’s favorite poets and thinkers and biting parodies of politicians and academics Chafetz considered pompous, self-serving, or dangerous. Combining a masterful expertise in printmaking techniques with piercing and at times good-natured satire, Chafetz produced a vast body of work that documents and critiques life from the academic environment he knew so well to the realm of powerful world leaders, influential philosophers, and literary giants. The Museum is a major repository for his work.